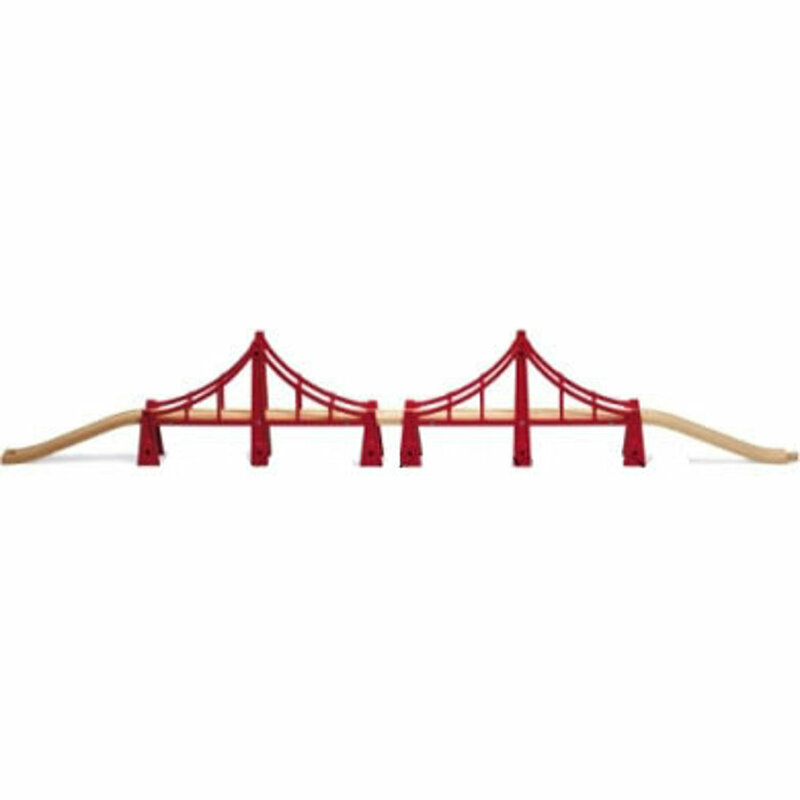 Modelled after San Francisco’s famous Golden Gate, this is our longest bridge. A stunning addition to any home railway. 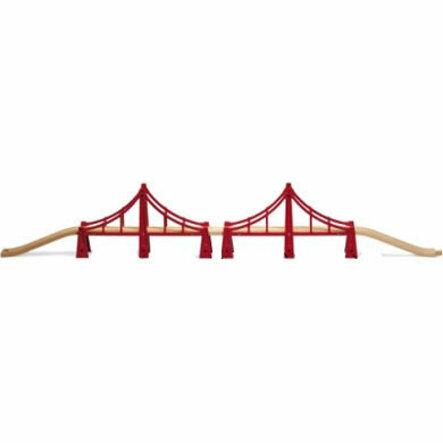 BRIO's longest bridge with wide integral bridge supports. 2 N ascending tracksand a A2 tracks that connects the bridges included. Can alsobe combined with 2 extra ascending tracks (sold separately) to build 2 smaller bridges.